Giveaway: TWO lucky winners will win one of the Acadmey J headbands featured below. A year and a half ago, three visual arts/education students at BYU took a design class together. As they gathered to work on their class projects, they discovered their talent for collaborative work as well as their similar values and the enjoyment they got from working with one another. Out of their love of people, art, design, and hard work, was born THE ACADEMY. It just sounds glamorous. All of their headbands are made from the best materials with careful love and attention. Because of the handmade nature of their products, each is slighlty unique. And, Academy J is offering free shipping on any of the items you purchase, through April (details here). So get your favorites quick. Don't miss out on their blog, where they have a call out for photos of you wearing their bands, and their etsy shop too. 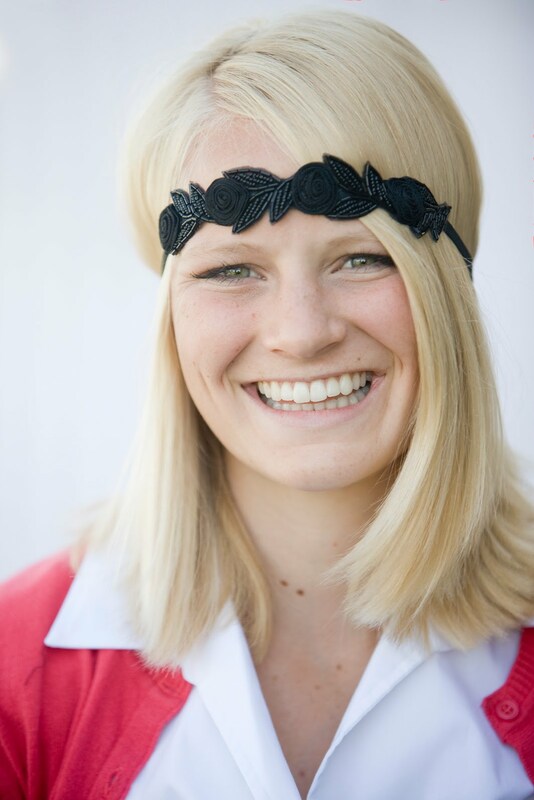 CJane will also be receiving a beautiful headband from Academy J. Courtney, which headband above do you love? Leave a comment on this post telling me which Academy J headband you would love to own. Explore their website, the simple design is so inviting. The Eve beaded headband is gorgeous! I am going to get the Lea in burgundy for the young girls involved in my wedding! so cute! I can't decide if I like the headbands best, or the flowers! All so cute! It's hard to choose between the crocheted and embellished, but I really love the Emma headband. I love the sosie clip! Wow! This are great and great prices too! I love the think crocheted band with the flower- all in black. Unique and classy looking! I love the brown one! Love the Jada Clip in Ivory, and the Leah clip in turquoise and brown houndstooth. I also love the turquoise clip pictured above! That turquoise one is awesome! I love the Jayne crocheted headband. the abigail or eve, for sure. I love the Lucille headband - so pretty! I think my nieces would really love any of these - and wouldn't that make me the best Aunt ever? I love the brown one! I'm pretty sure I'm going to buy one of the crocheted ones. They're beautiful! Love the little clip. If I got to pick...Esme or Ellie, or the Jayne Two Tone. Ooh! The green one, please. So very cute! I love the green clip. LOVE IT! I love the Emma (bronze. I love the Leah Clip in turquoise! The Jada w/out Rhinestone looks like something I could rock. The two tone Jayne :) Gorgeous! Good work, Academy J, they are all lovely. Love the Jada without rhinestone in grey! I think the Leah clip in burgundy. I love most of the clips though, crocheted and embellished. Jocelyn clip. I have short hair, and I need something cute and little to spruce it up. The clips are my fave for sure. I like the Zoey clip. I love the Lucille beaded headband. I love the Zoey zipper clip! The Jocelyn clip is my favorite - it would keep my "growing-out" bangs in check for sure! I would love the lucille headband. I love the Eve! I also love the Leah clips. I like the hair clip! The leah clip in turquise is great! I absolutely love the turqoise clip. The Jayne, for my sister Jayne! Oh I must have Audrey! So cute! I love the teal clip!!!! and I am a follower of family volley and A. J.
I like the Audrey and the Emma (pearl). Love the Eve and the Emma (brown and pearl). Gorgeous pieces! The Eve is SO beautiful. I love the Jocelyn clip. So simple and sweet! i'm lovin the emma and the audrey! The Romeo Beaded headband is gorgeous!!! I would LOVE the Nicolette in Purple! These are so great! 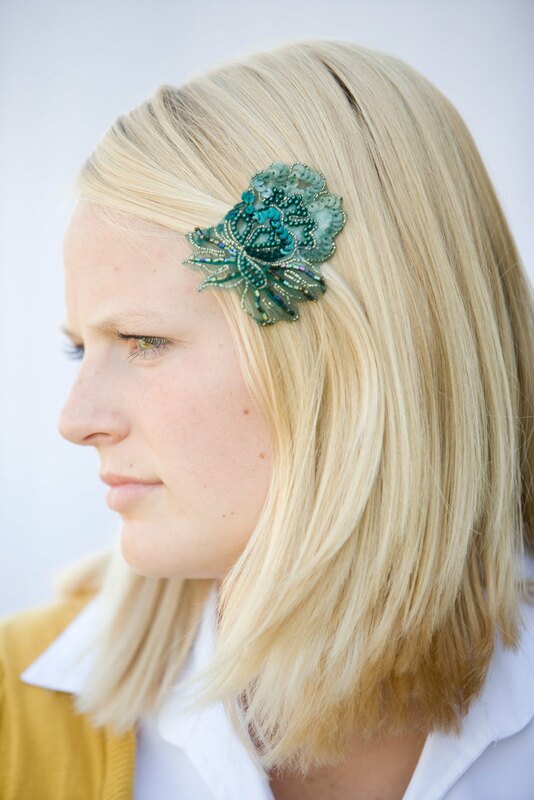 the leah clip in turquoise! might just go ahead and buy me one! My fav is the Ariel Clip! I love the Abigail clip!!! I like the Ellie clip. i adore the zoe clip! the jada clip in apple green. Like the Jocelyn clip. very cute. I like the lila clip. I love the bronze Emma! I can't believe how reasonably priced they are! So stunning and something I can actually afford too. Go Academy! I love the Jocelyn Clip! How beautiful is that! So many lovely creations! I love the crocheted wide band Jada without rhinestone. i like the Dora headband and the Leah Clip in turquoise. I now follow Academy J.
I actually really like the clips. One of my favorites is the Lila. The Eve and the Emma are my favorite. I think my daughter would love any of them! The two tone Sosie needs to be MINE! I love it all though! The dora is so feminine and sweet. I love the Emma headband. I like the Jada in Chocolate! I love the Leah clip! I like the Eve headband. LOVE the Jada clip - these are adorable!!! I love the Emma headband and Jada clip! i love the Eve headband on the website, but if i picked from the 3 above, i like the green flower clip! I love the abigail clip! I really like the Audrey Headband and the Jocelyn clip. the ellie. so victorian goth for my hair. I'm loving the Emma (bronze) headband. Very cute! Cool Start up.... I like Emma the most! I LOVE the Abigail embellished band!! I also follow family volley! Of these three I like the blue clip. On the website I love the Abigail clip! So pretty! I love the Emma, it is beautiful! love the sosie clip. so cute. ooops, I meant, I also became a follower of Academy J, not a FB fan. And I'm a Academy J follower! Love the beaded headbands, especially Eve. The jocelyn clip is awesome! Jocelyn clip. Just to make people talk...Love it. I love the Jada clip! I left you a q! These are lovely. I think the beaded ones are my favorite- with the Abigail topping that list. I love the Emma and the Eve headbands. So adorable! Love the crocheted clips, especially the Jada clip. Beautiful! I like the Audrey headband. I am a new follower of this blog. The Jada band in ivory would be my favorite. my little girl would love the jocelyn clip. 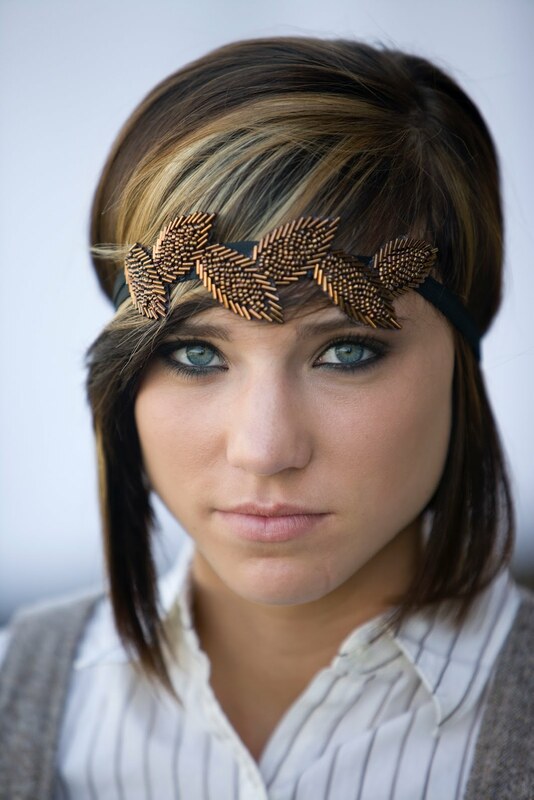 I love the bronze leaf headband. The Abigail, Eve and Esme Embelished Beaded headbands are my favorites! Love the Leah clip in burgundy! I love the Emma and Lucille. Cute. I love the black on in the middle, it would be perfect paired with a lbd for a wedding! The Abigail Clip is so lovely. I love the Sosie two tone clip. Beautiful. The Abigail clip is stunning! So great! talented students with great products. I just am stunned by their ESME band. It would be a must! amazing! the lucille headband is the best. whoa-they are all fabulous! love the lucille!!! The Emma headband is gorgeous! I'm OBSESSED with Emma. I know it's sold out in their etsy shop, but of course it is because it's so awesome!! The Ellie Clip is adorable! Jada with rhinestone would look so cute on my daughter. I love the Jada one! So, so cute! I love the pink Sosie clip! The Eve is my favorite. Grey is just my thing right now. I love the Emma headband in bronze. Love the Nicolette head band! So whimsical and fun! With seven girls I think I need to buy tons to reduce the arguments of who will wear what. How fun to find most of my daughters' names also associated with different designs! I really like the Eve headband (yes one of my daughters' names).